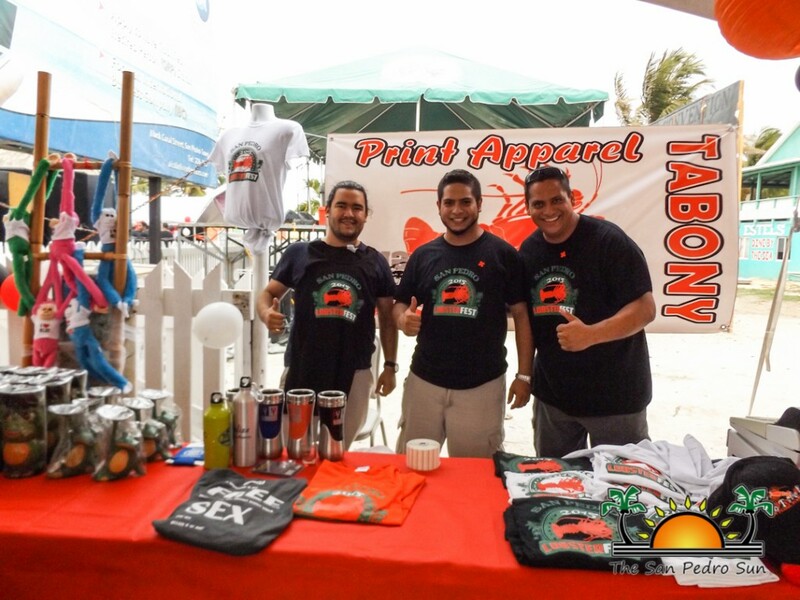 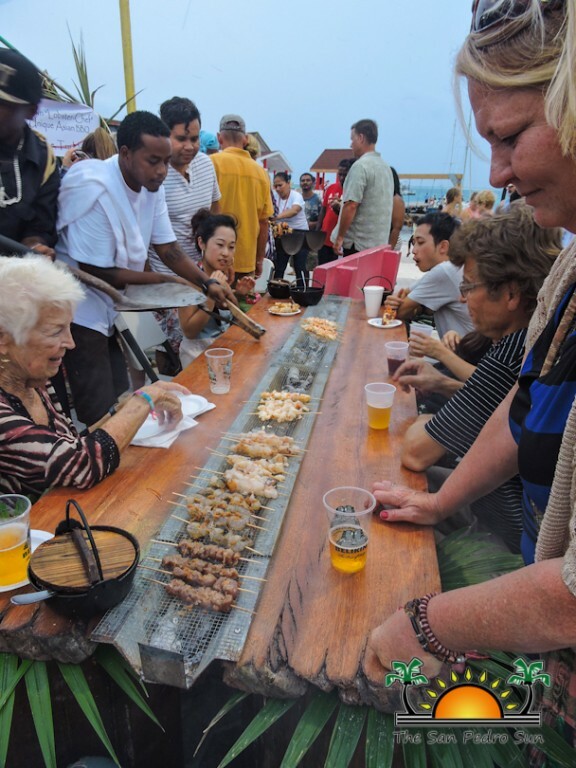 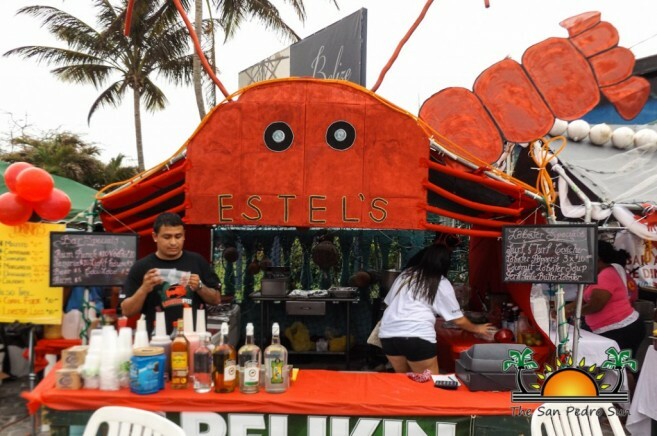 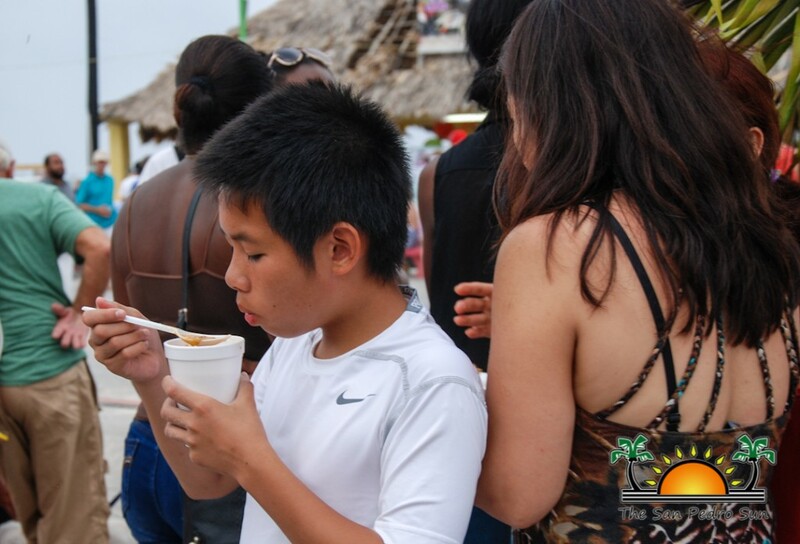 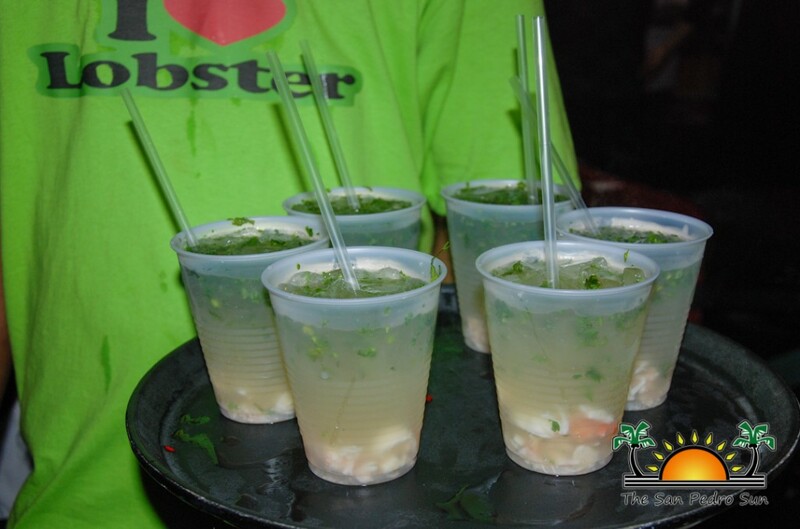 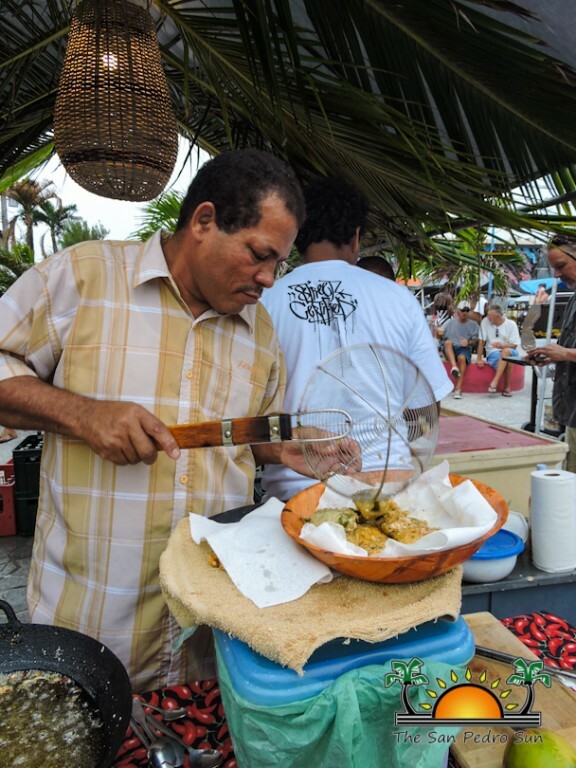 Home » Entertainment » San Pedro Lobster Fest 2015: So many tasty choices! 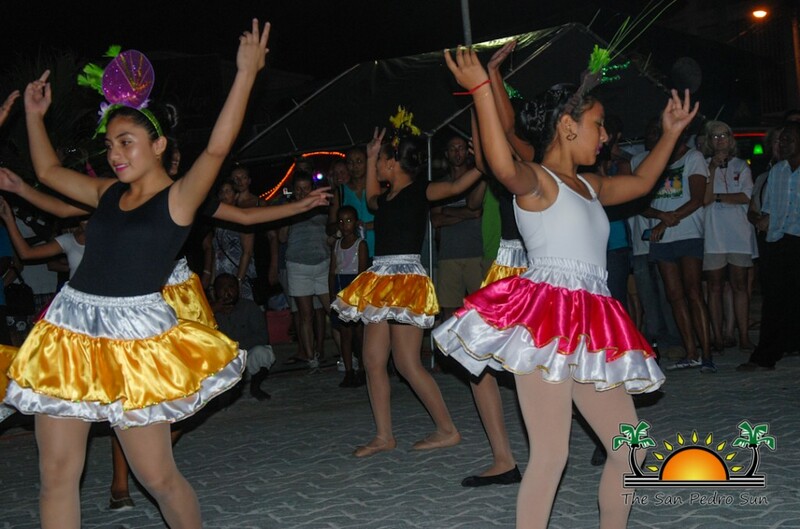 « Older: The 2015 International Costa Maya Festival® is set to go! 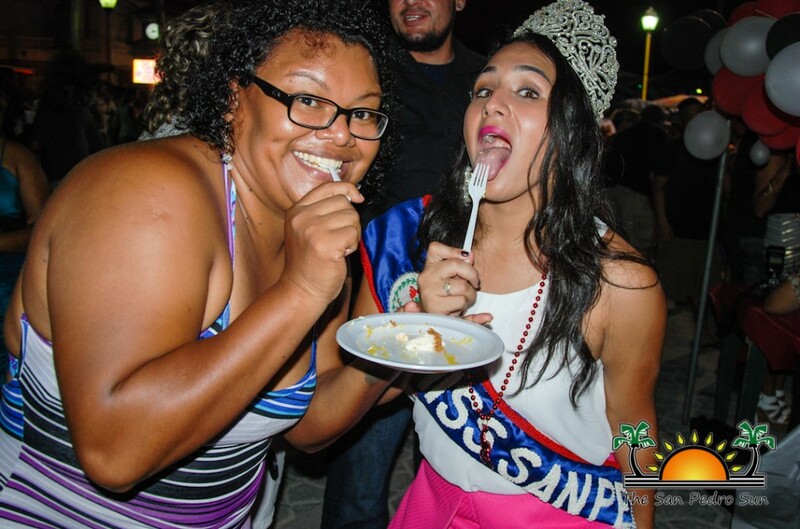 : Presenting Miss Costa Rica! 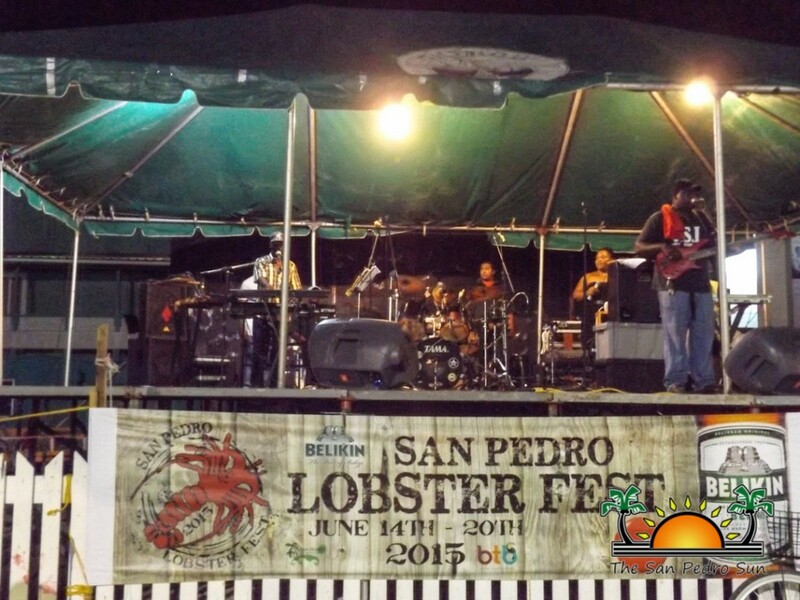 The 9th annual San Pedro Lobster Festival has come and gone, and in its wake trail plenty of memories for residents and visitors alike. 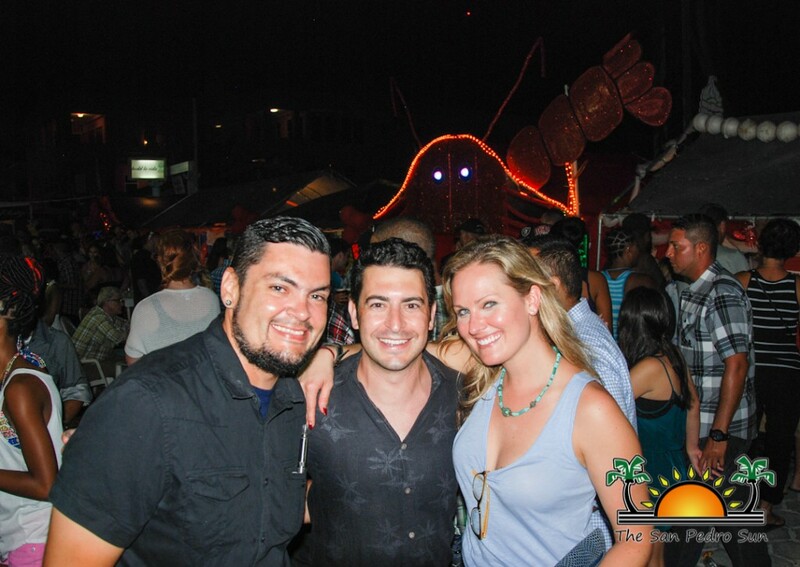 The festivities began on June 14th with the official “Meat and Greet” at El Divino, kicking off the week-long Lobster Crawl. 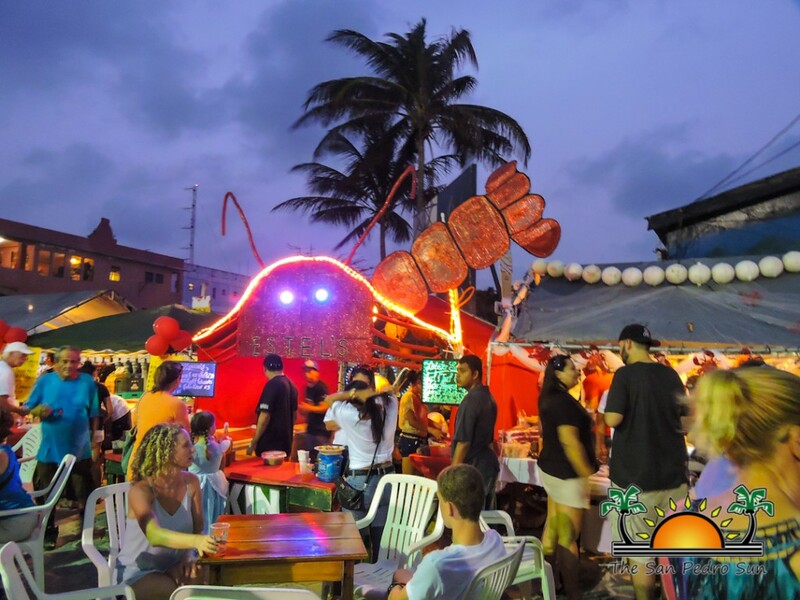 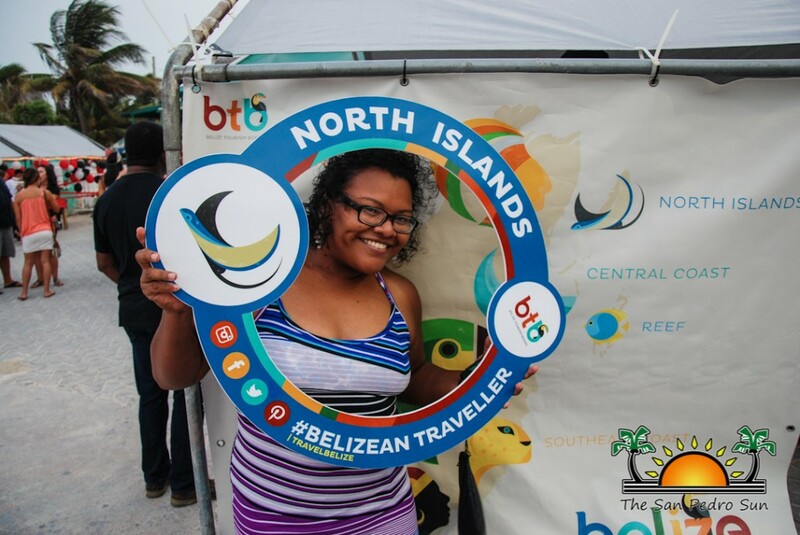 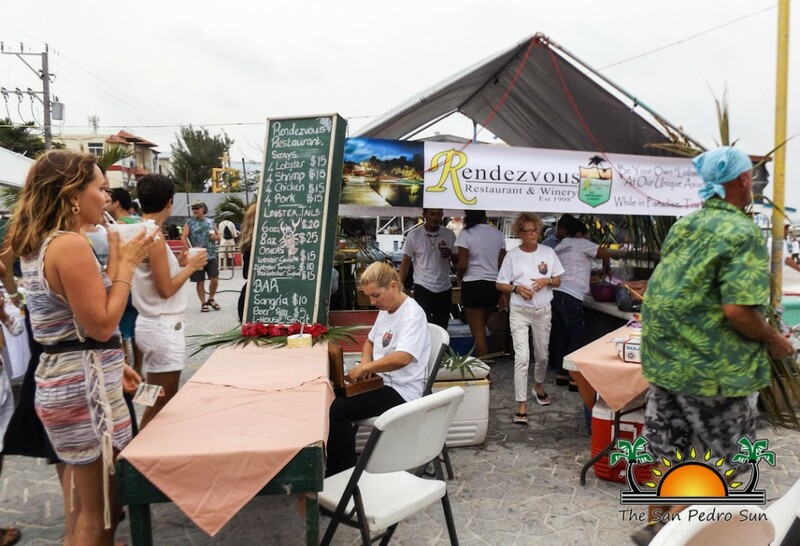 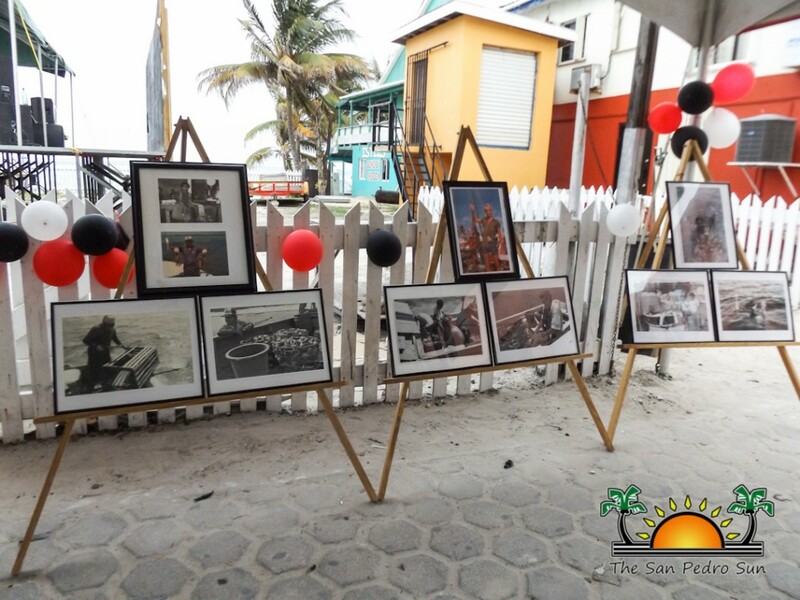 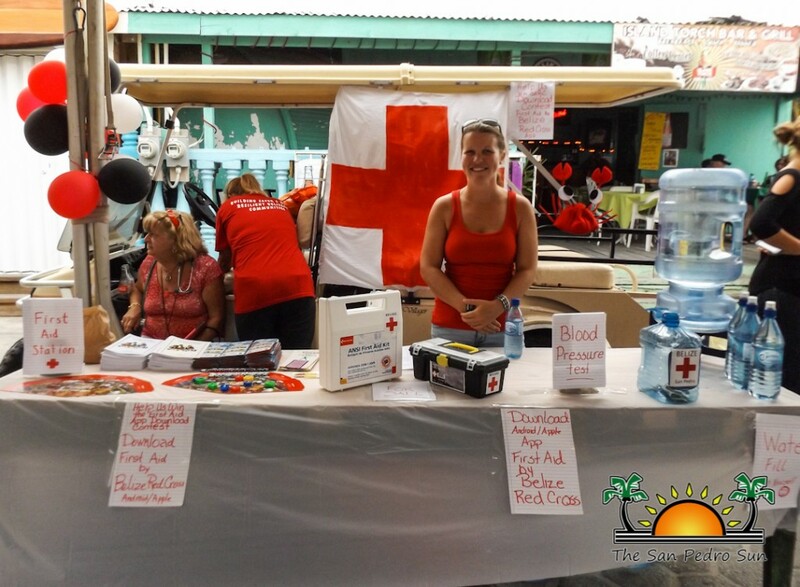 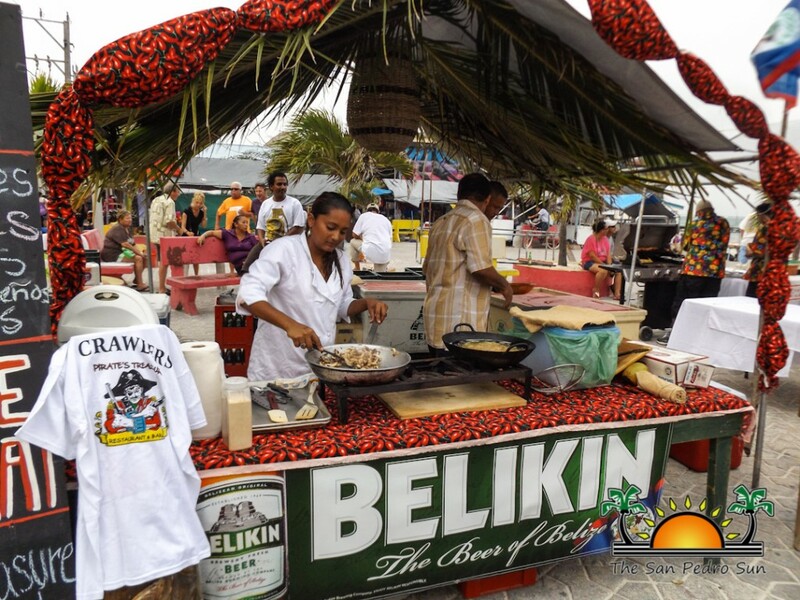 Businesses throughout the island were packed to the gills with merry ‘crawlers’ enjoying the special activities on each day/night. 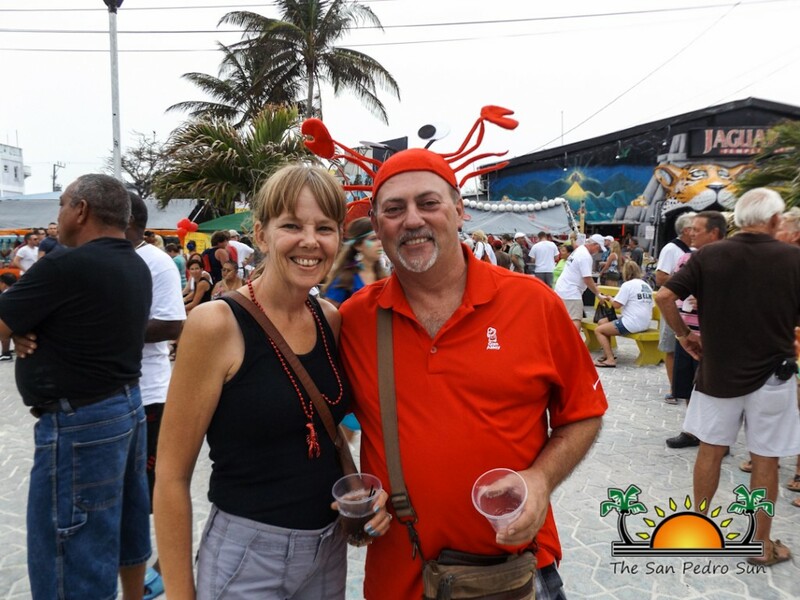 Lobster Fest Passports were stamped in the hopes of winning a fabulous trip to the 2016 festival, and oh yes, there was lobster to be had! 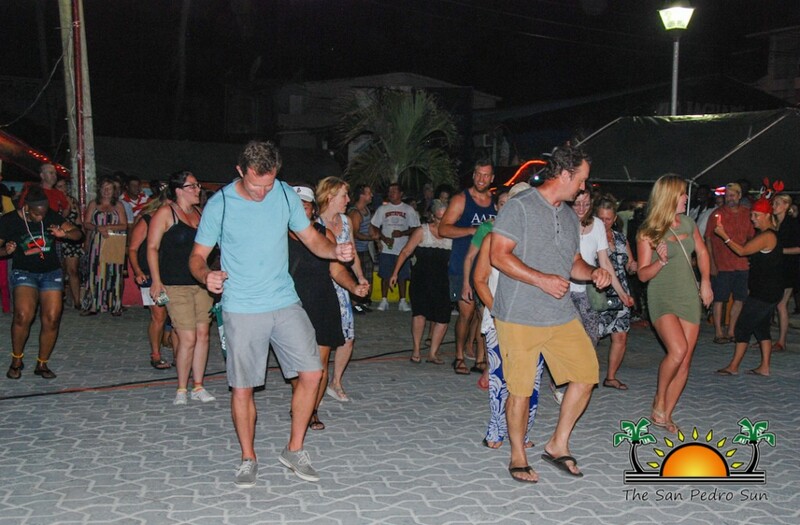 The grand finale however, was the annual Block Party on Saturday, June 20th. 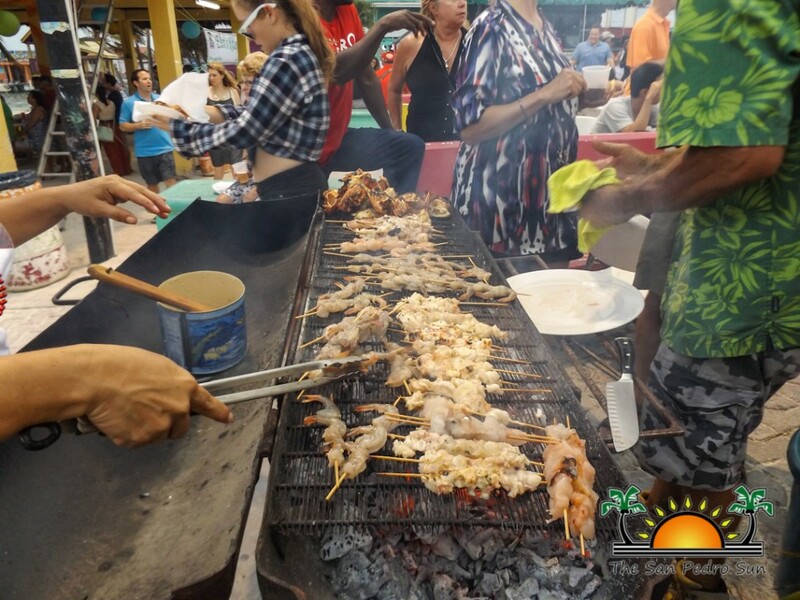 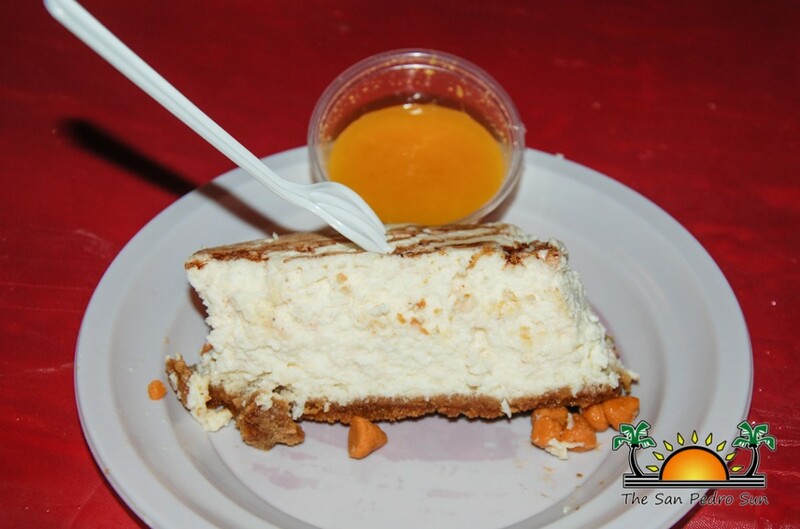 By 5:30PM, booths were set up, housing popular restaurants and chefs churning out all manner of lobster dishes, from whole grilled lobsters to lobster pizza, fritters, satays, pierogies and even cheesecake! 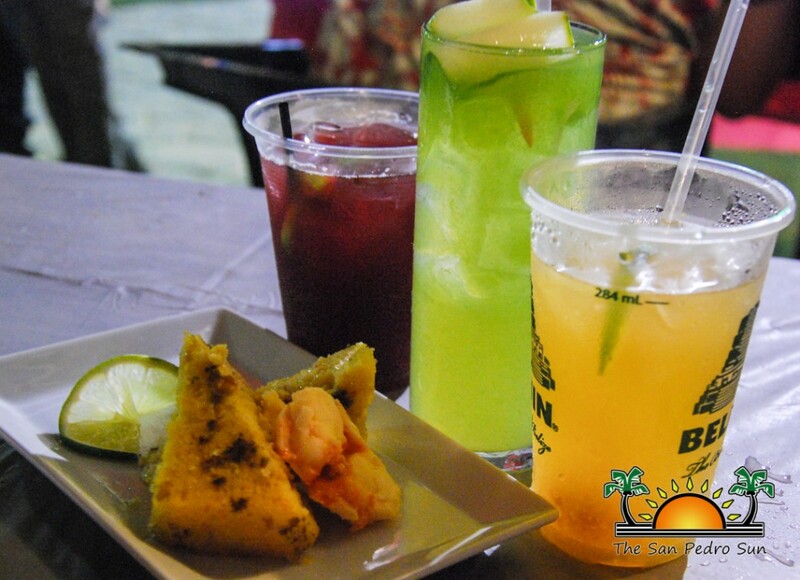 Thirsty patrons enjoyed cold Belikins, sangria, mixed cocktails and even inventive lobster margaritas! 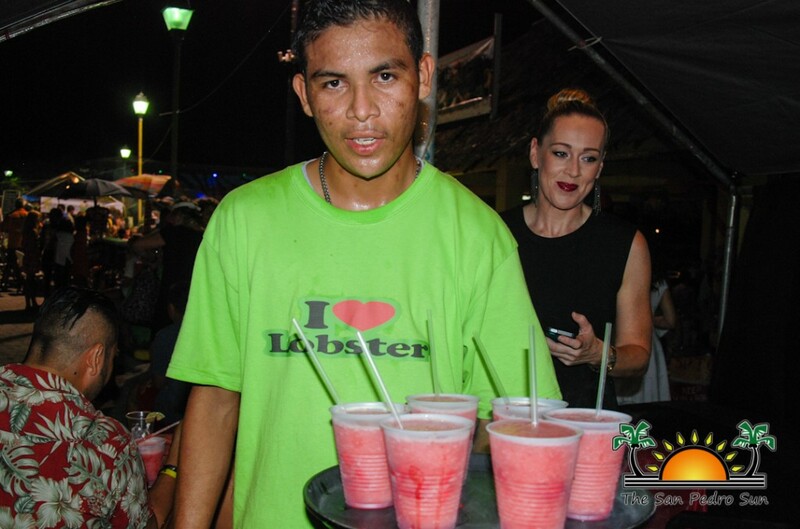 There was no doubt what the theme of the evening was! 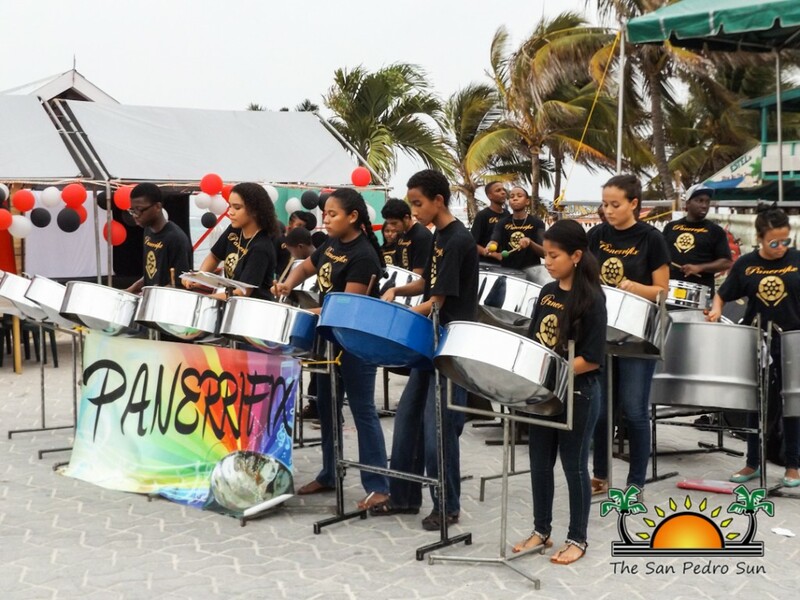 Pannerifix Steel Band kicked off evening with their glorious steel pan sounds that brought to life cumbia, soca, punta, and Calypso to life! 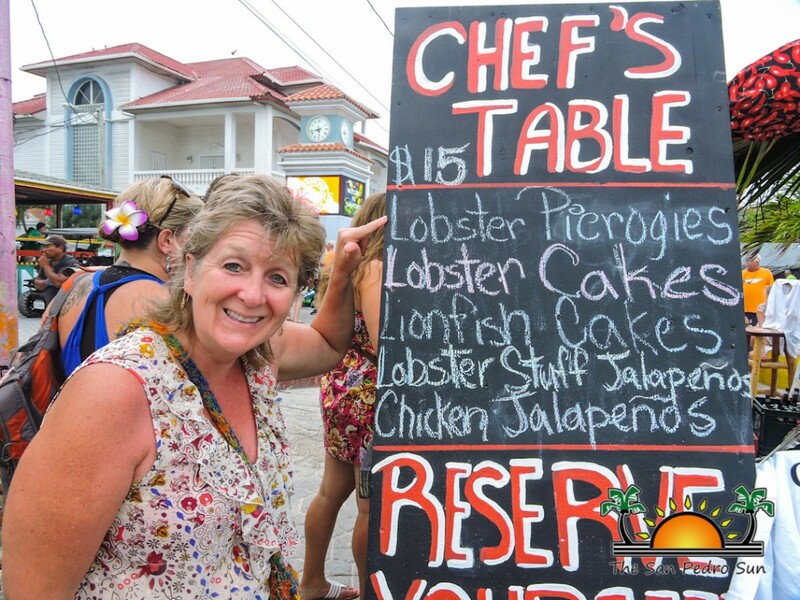 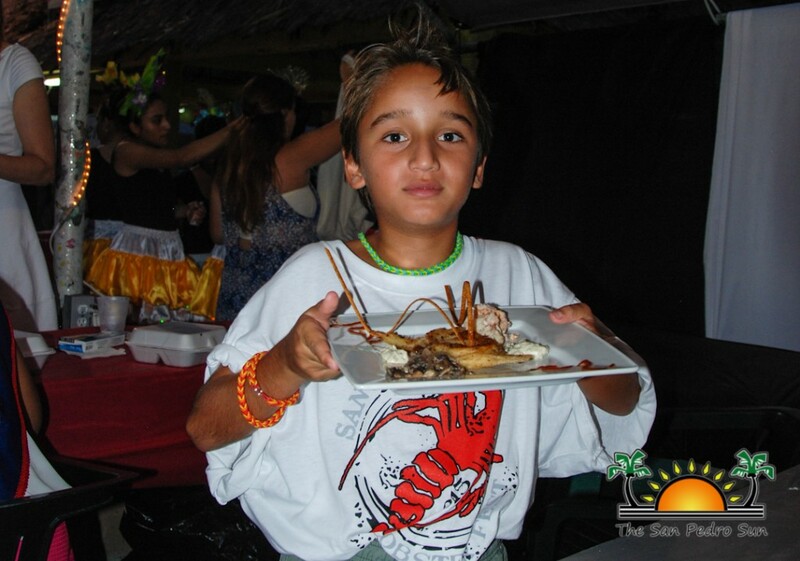 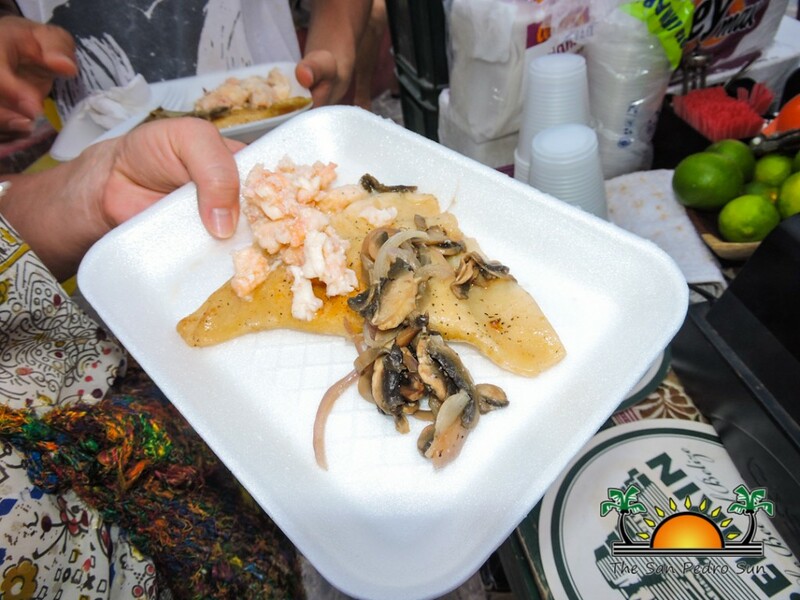 The smells of the various lobster dishes cooking had revelers making a beeline for their favorites. 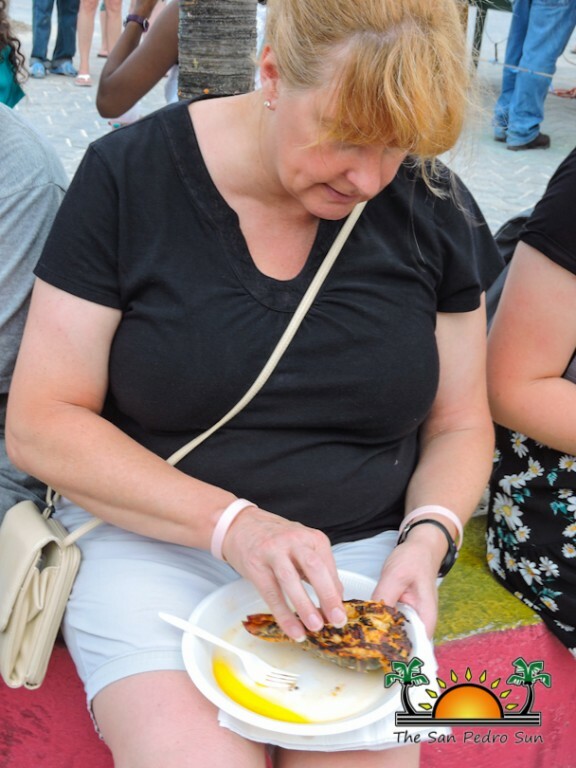 Seated at a separate tent near the stage were six hungry judges who were very much anticipating the onslaught of lobster treats headed their way! 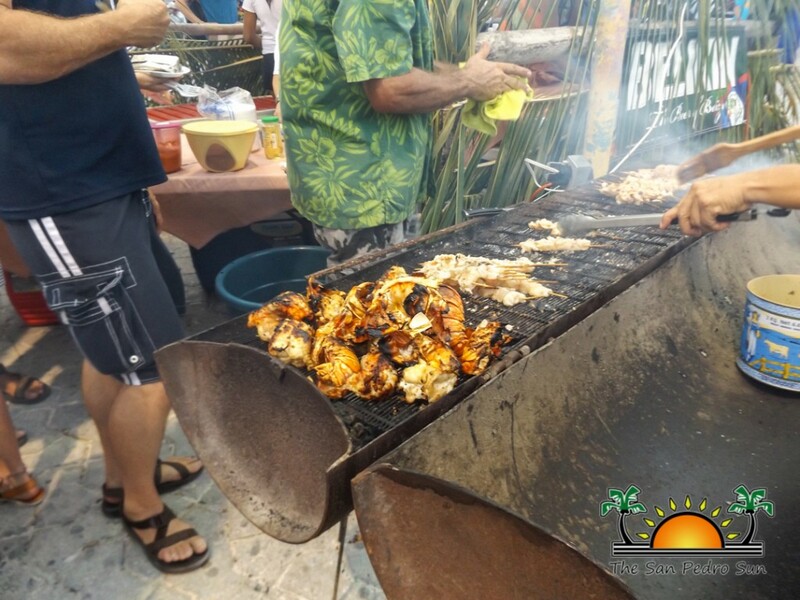 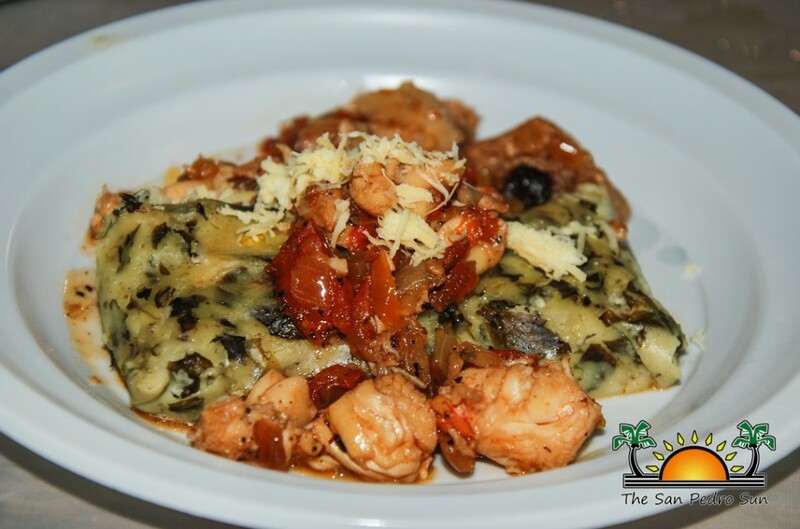 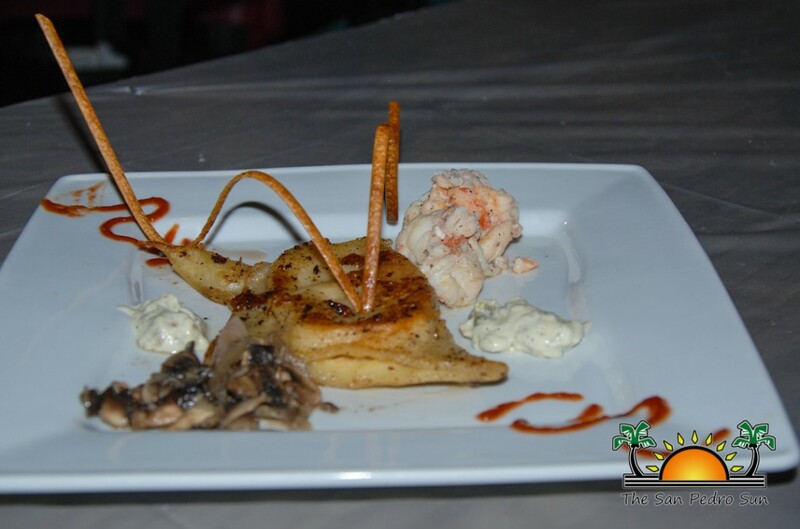 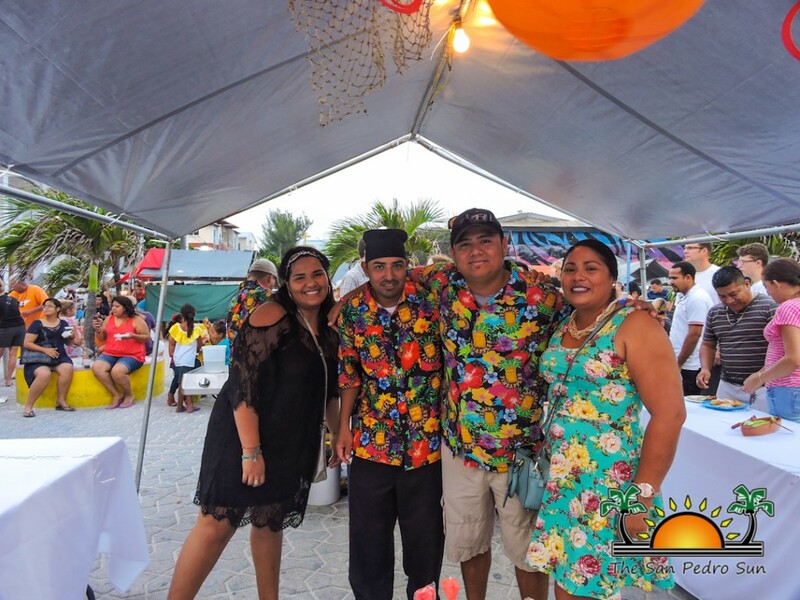 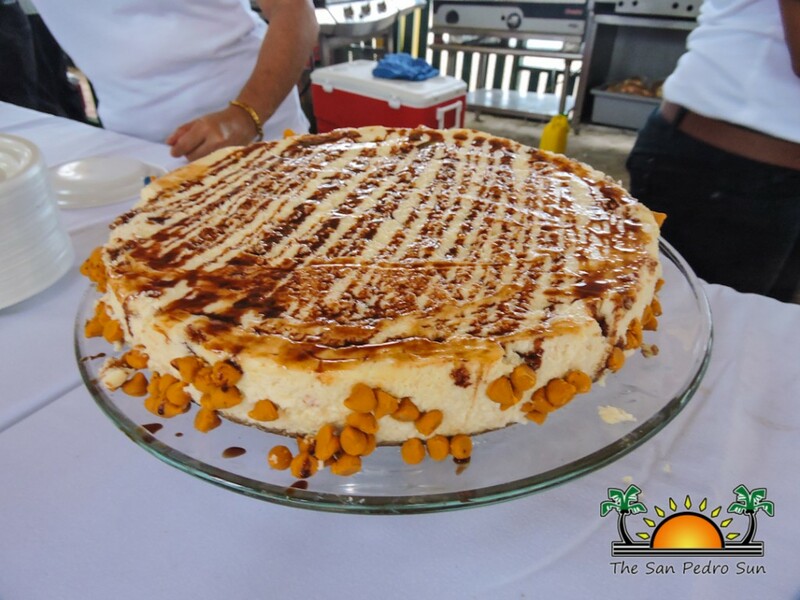 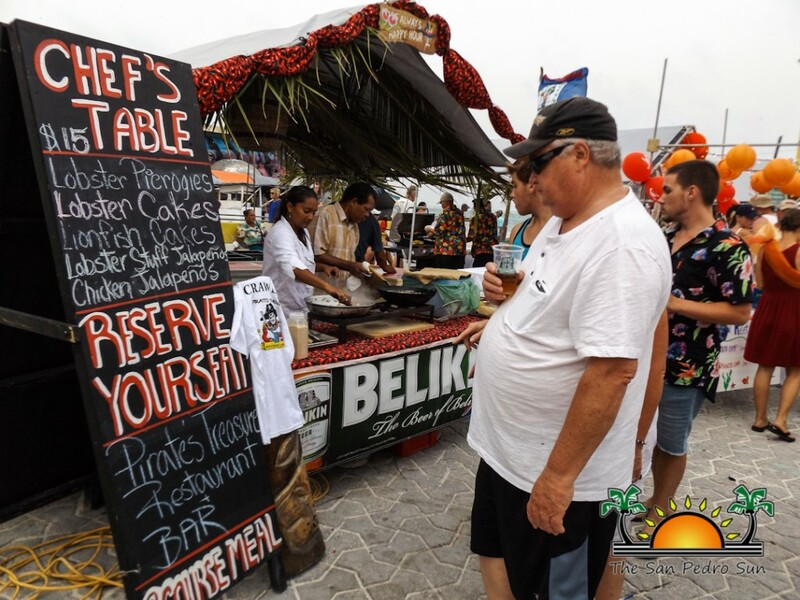 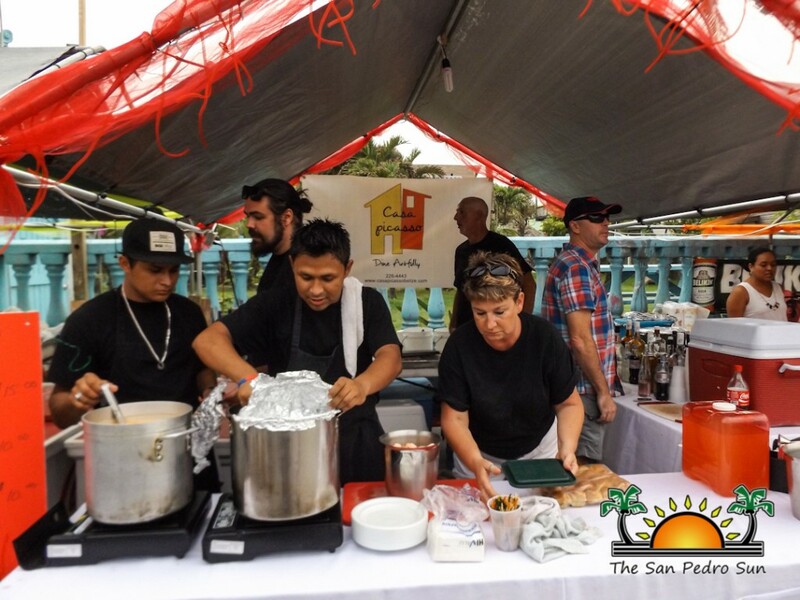 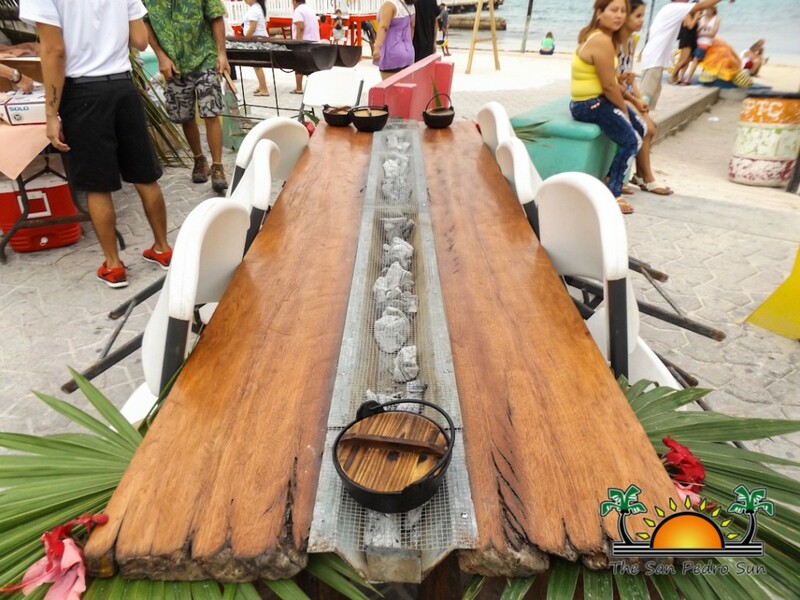 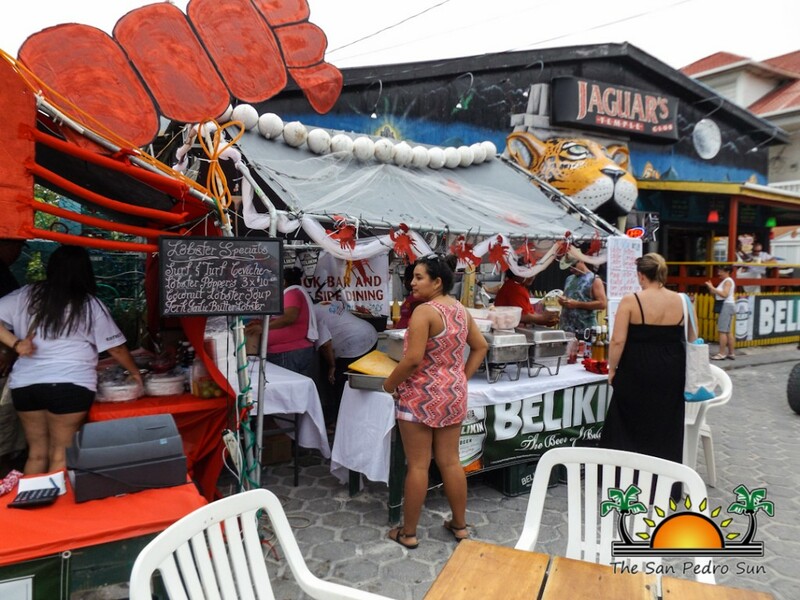 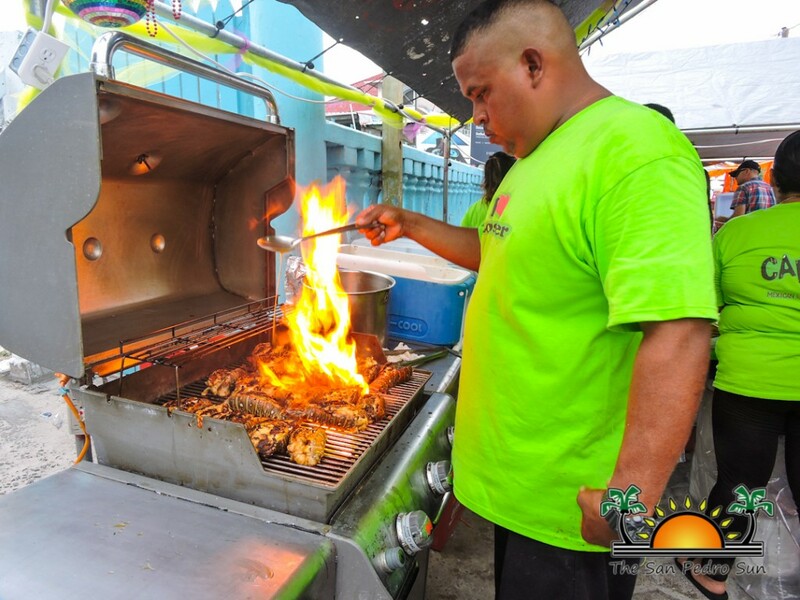 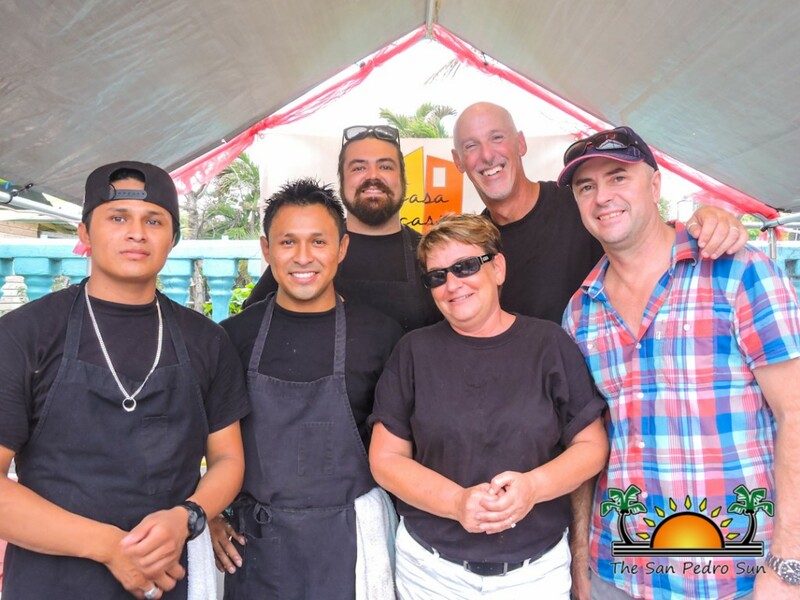 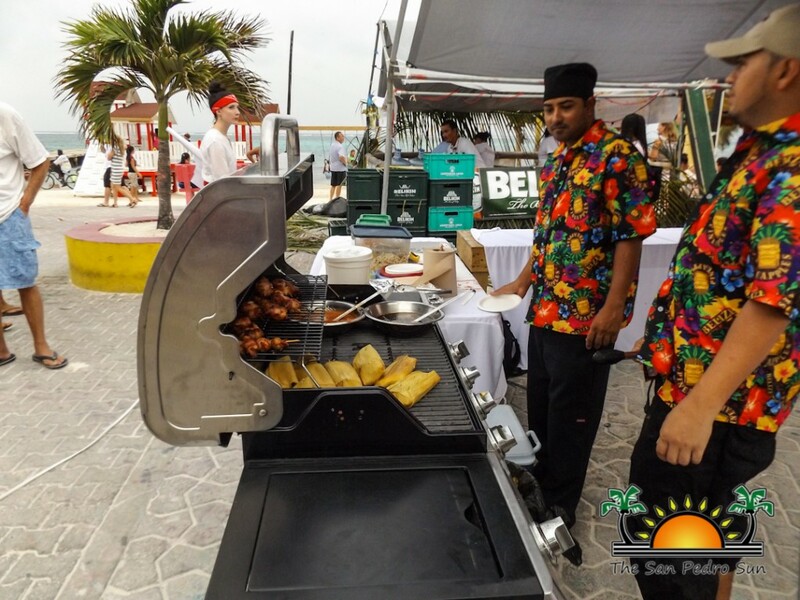 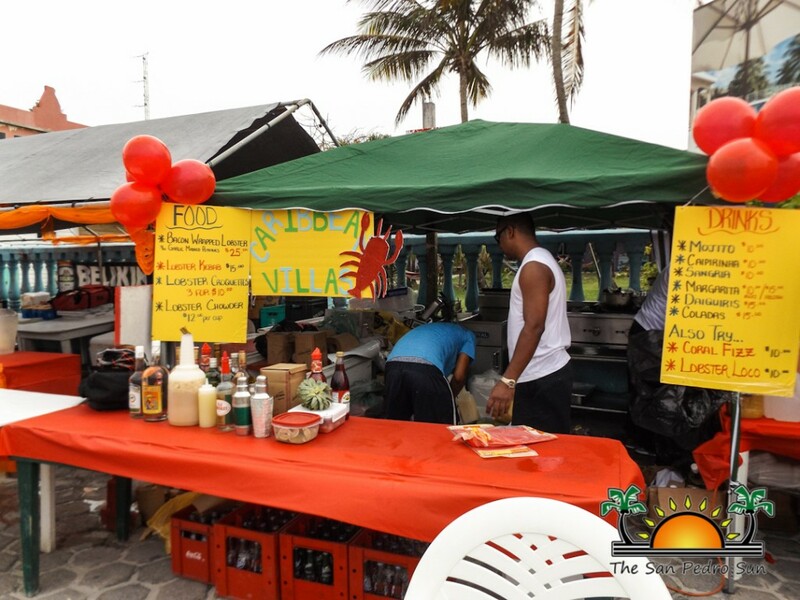 Entries came from Amber Beach Bar & Grill, Di Vu Restaurant, Pirate’s Treasure, Pineapples at Ramon’s, Rendezvous, Caliente’s, Estel’s Diner, Casa Picasso and Elvi’s Kitchen. 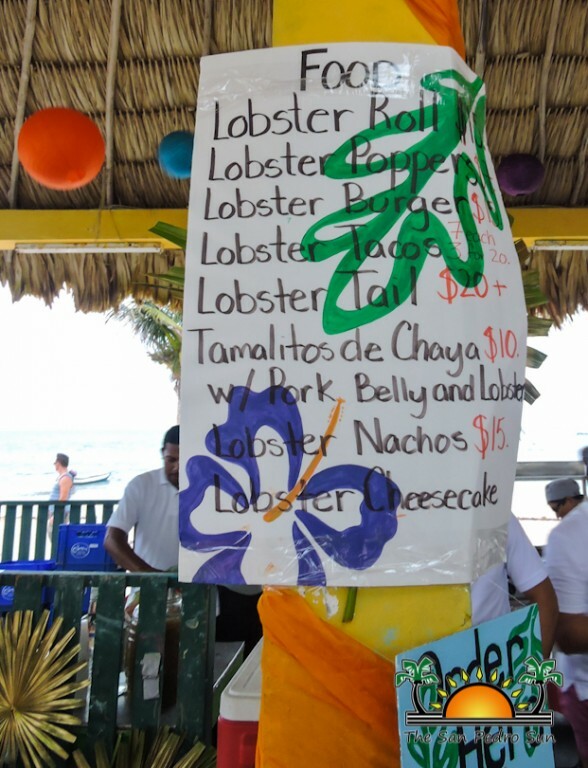 From ducunu topped with fresh lobster, to lobster pierogies, to lobster cornbread pudding and tamalitos de chaya with a pork belly and lobster topping, there was so much to eat! 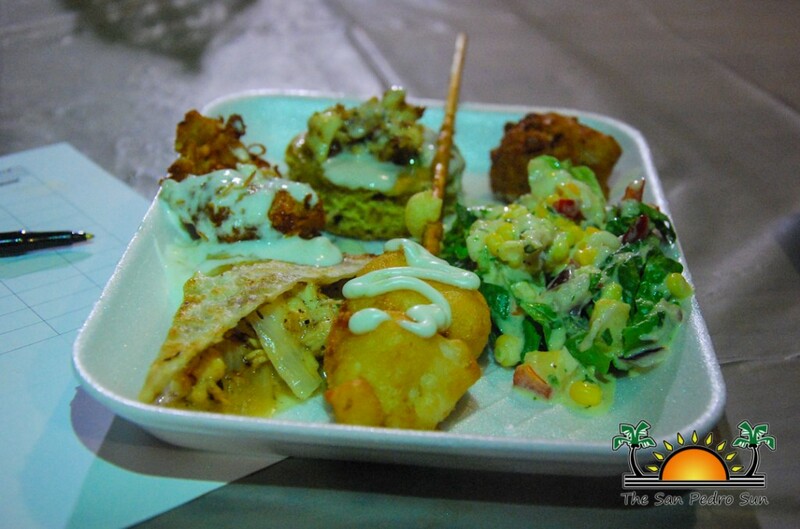 Some judges nibbled small bites, trying to keep some empty space for the next dish, while others cleaned their plates one after the other. 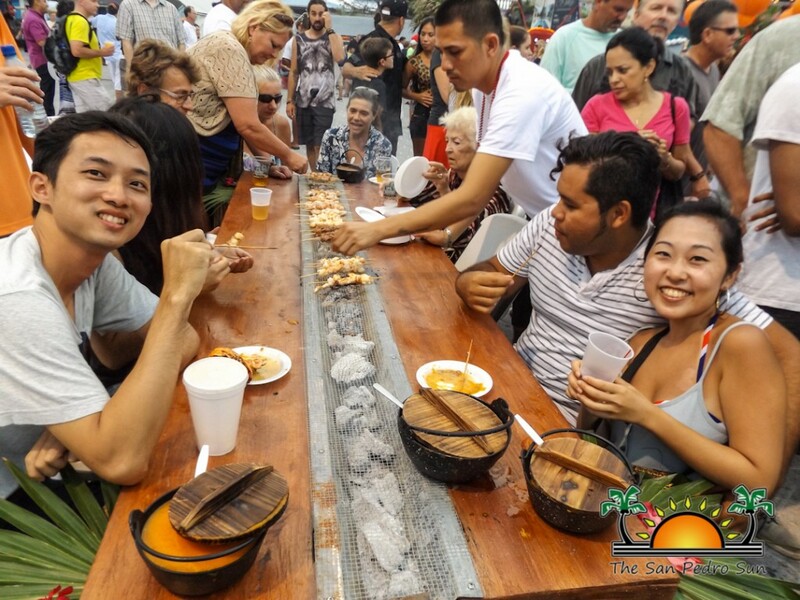 Drinks were on the judging table too, and Gerry Badillo, Miss San Pedro Michelle Nuñez, Rebecca Coutant, Mary Gonzalez, Joe Chung and Geovanni Martinez had a blast fishing out bits of lobster from their margaritas, and sipping on sangria. 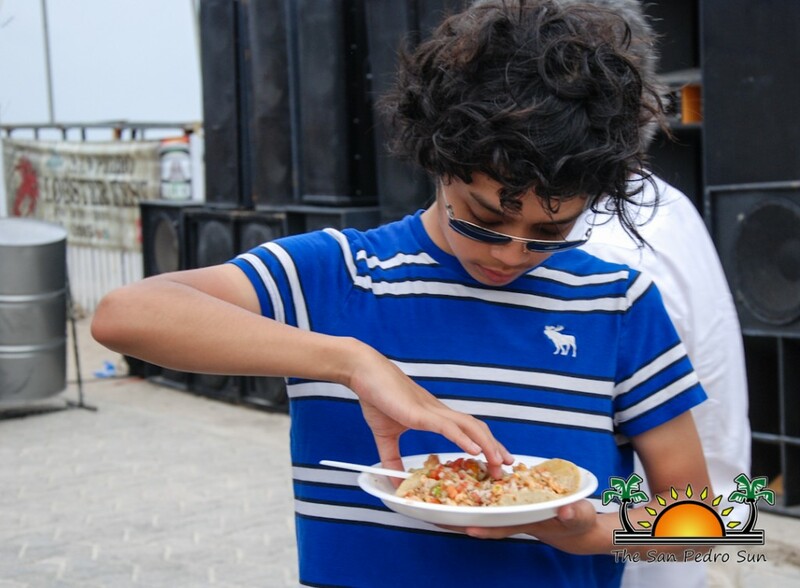 At the end of the judging, there were some awards to hand out. 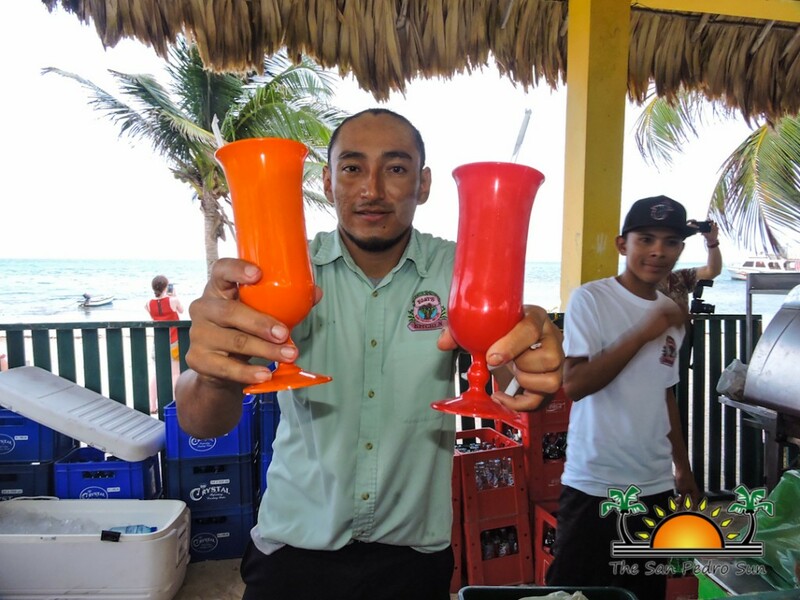 Taking third place in the drinks category was Di Vu’s Orange Crush, while second place went to Caliente’s fun Strawberry Lobster Margarita. 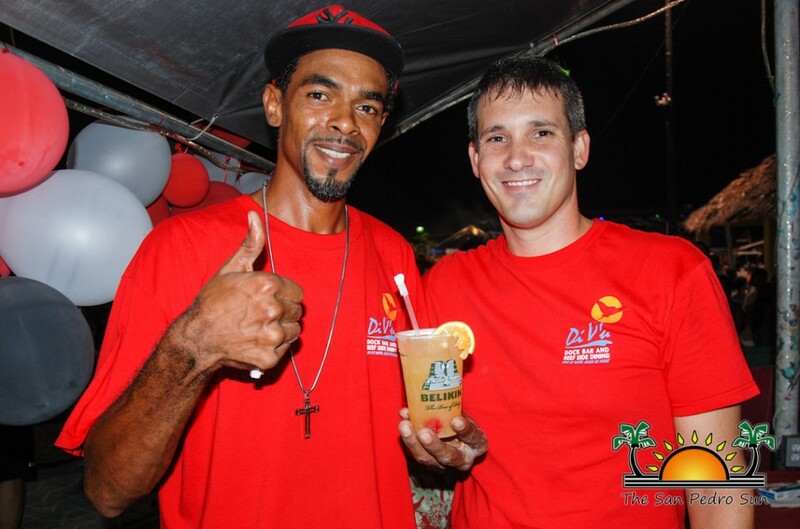 First place went to Estel’s sangria, which one judge declared to be the best he’d tasted in Belize! 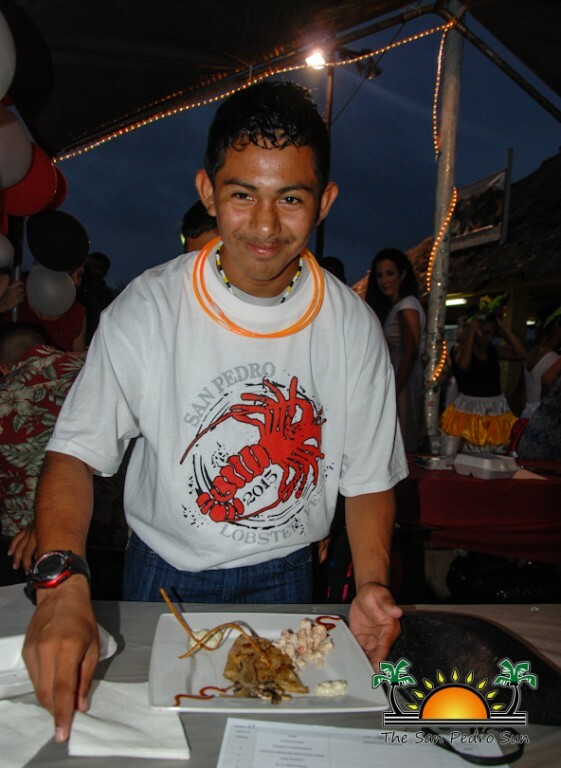 (High honors indeed.) Best booth went to Estel’s Dine by the Sea. 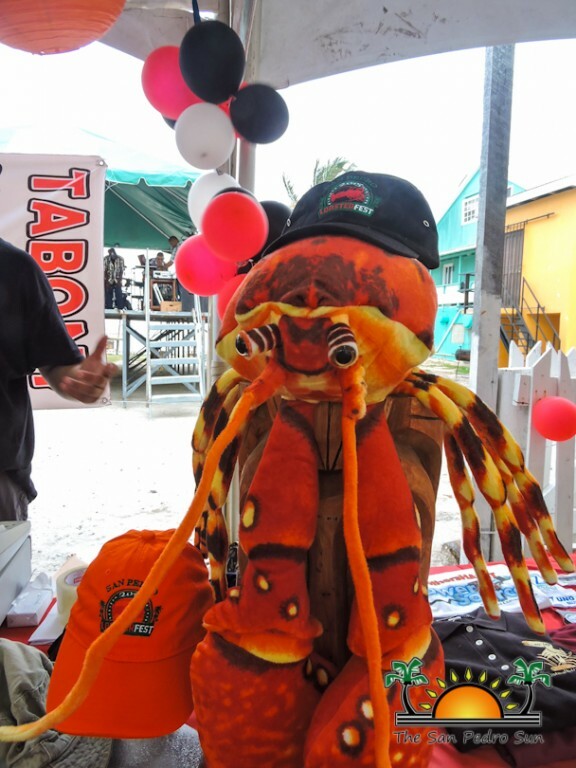 Their booth was super adorable: a giant red lobster whose eyes glowed when the sun went down! 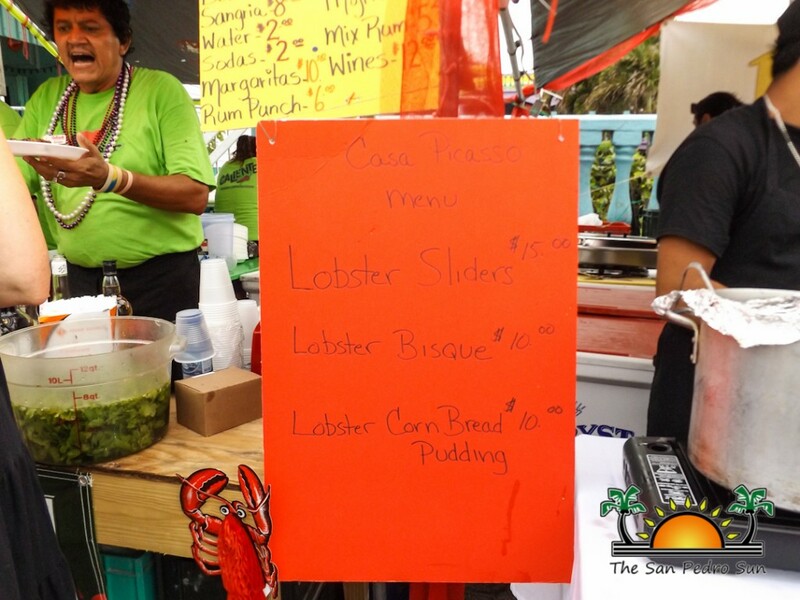 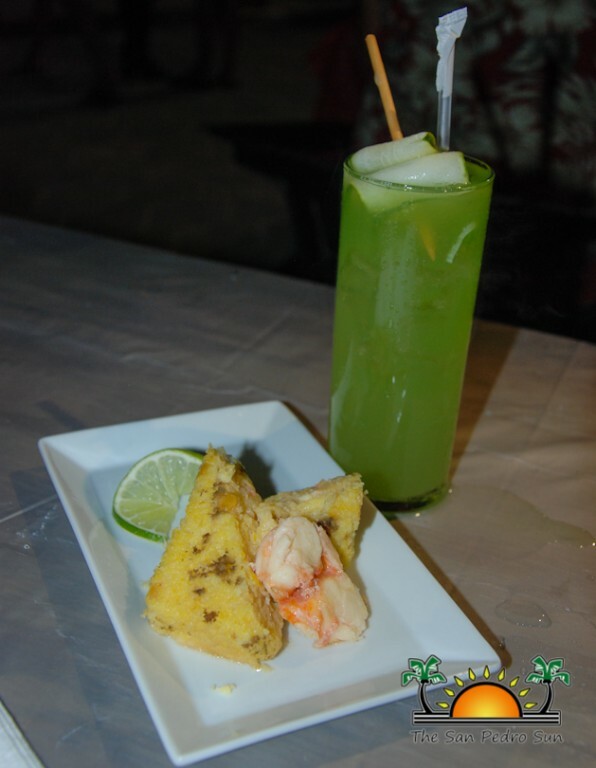 In the food category, Casa Picasso’s Lobster Cornbread pudding took third place, while second place went to Di Vu. 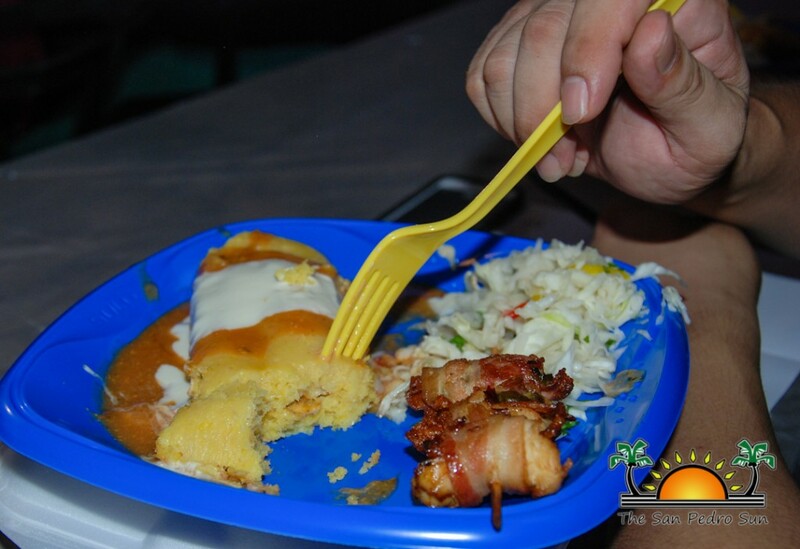 Claiming the grand prize this year was Elvi’s Kitchen’s delicious Tamalitos de Chaya. 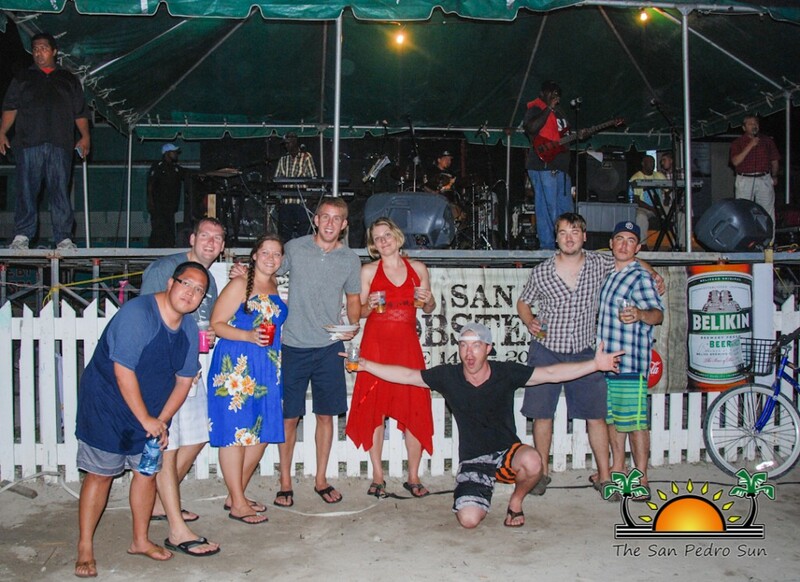 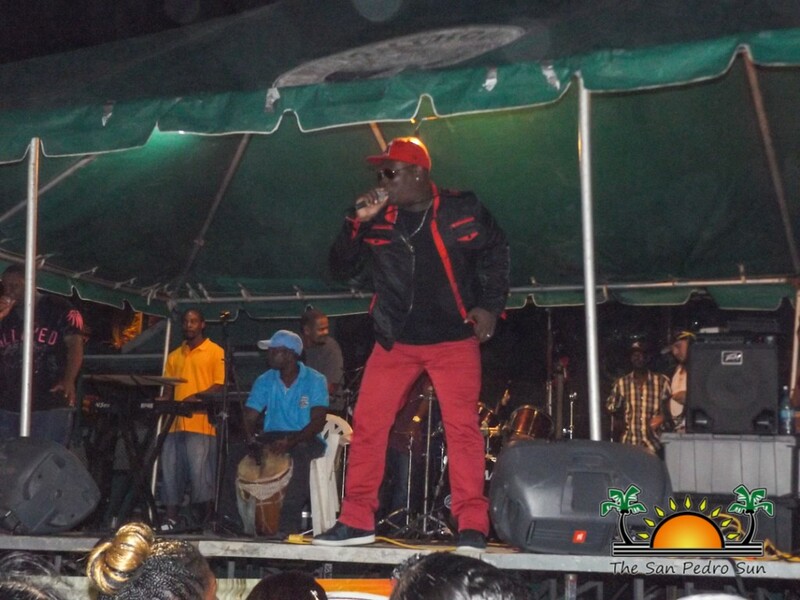 Entertainment for the night also included Cool J’s Band and of course, punta superstar Supa G! 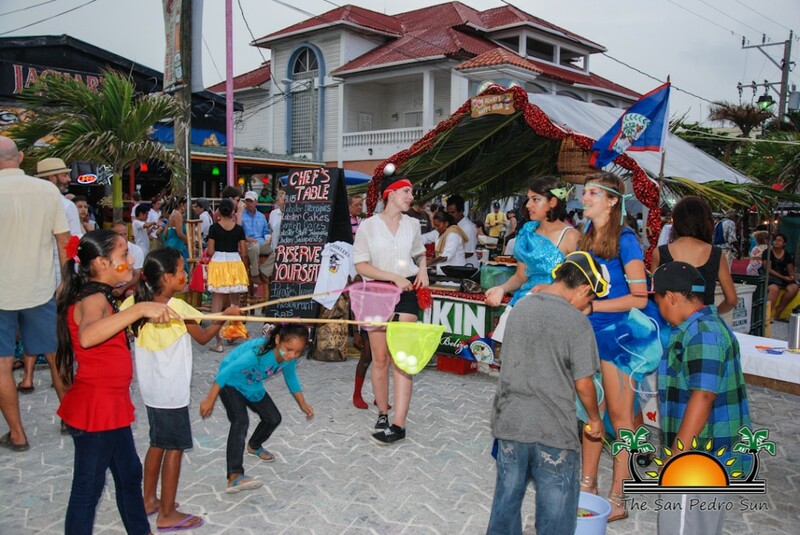 Of course, the real winners of the night were the patrons of this beloved festival, now nine years in the running! 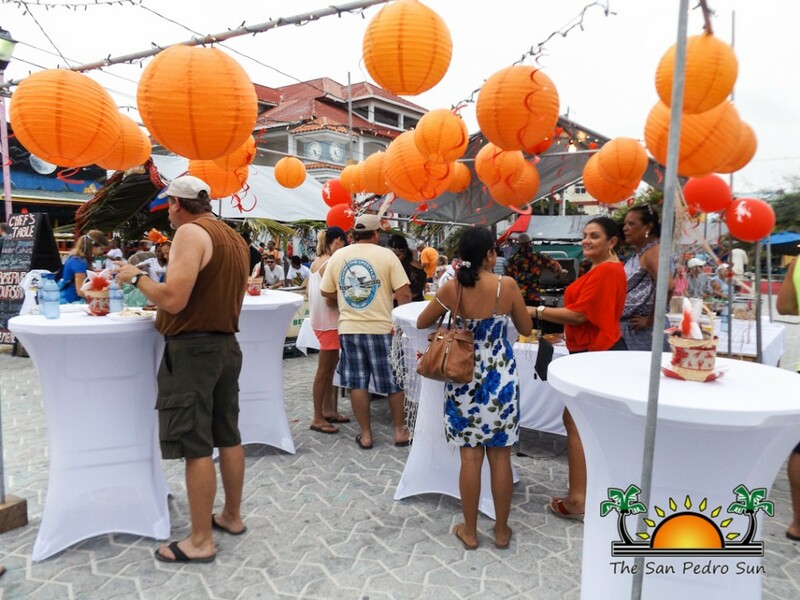 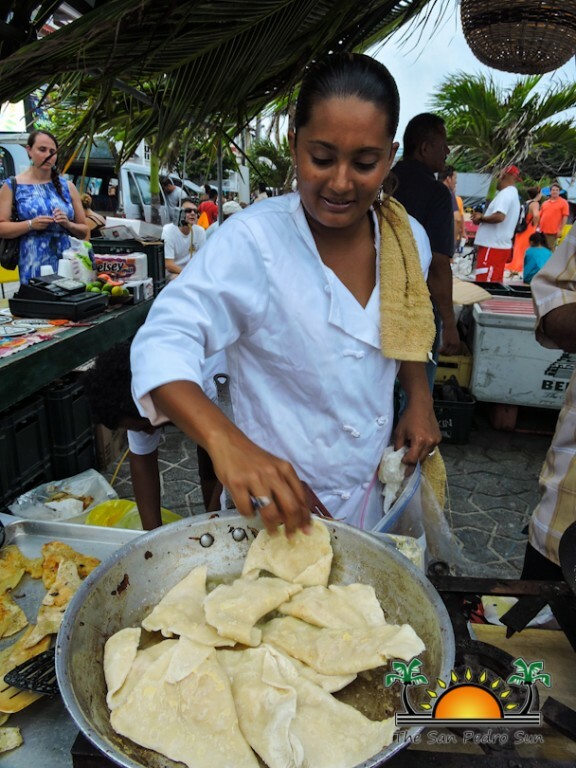 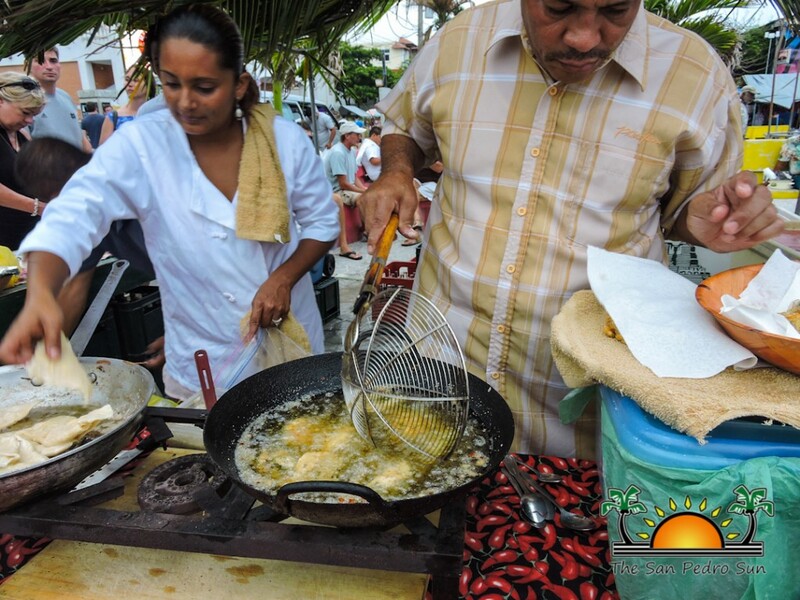 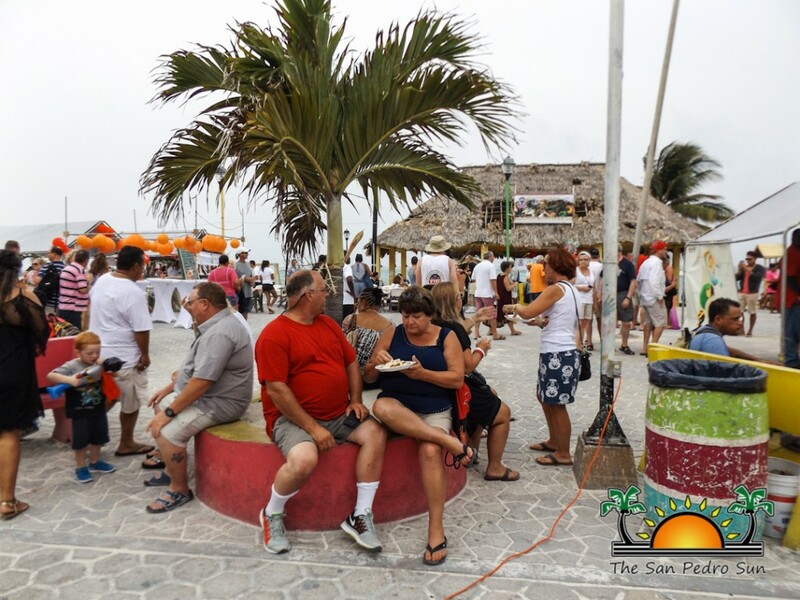 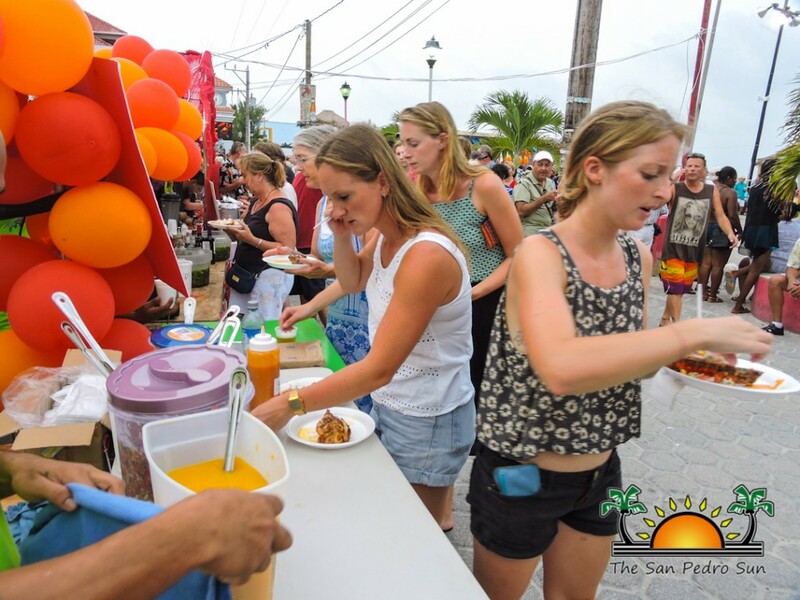 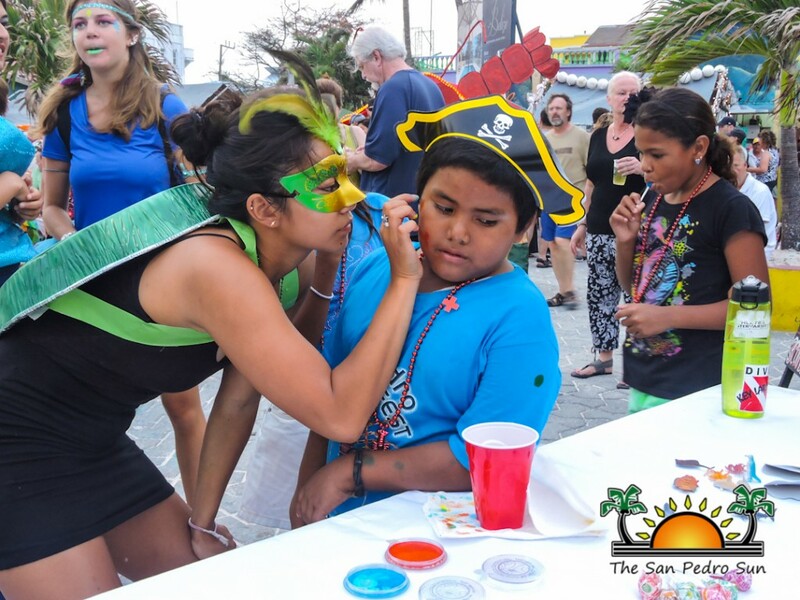 Every year, it gets bigger and better, and San Pedro Town benefits greatly from the travelers who come down yearly to enjoy this fabulous celebration. 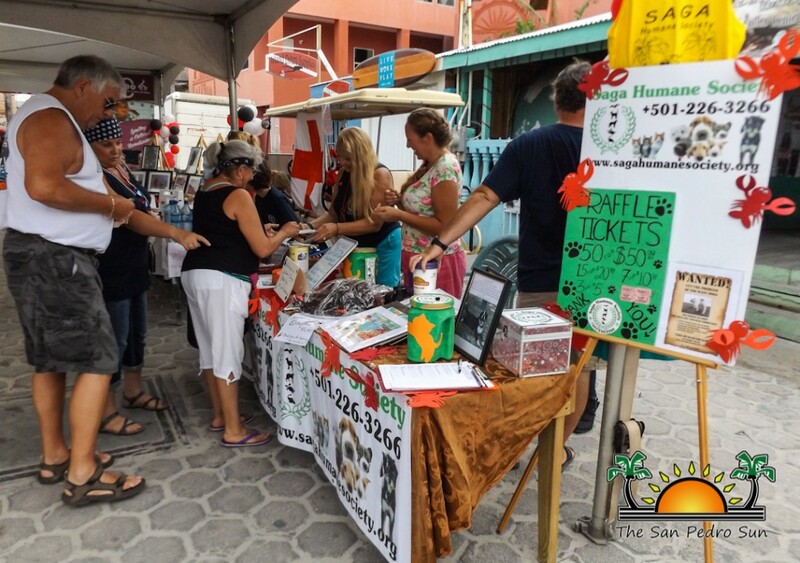 Sponsors for this year’s festival include: The San Pedro Town Council (SPTC), Honorable Manuel Heredia Jr., Rebecca Arceo, Belize Tourism Board (BTB), The National Institute of Culture and History (NICH). 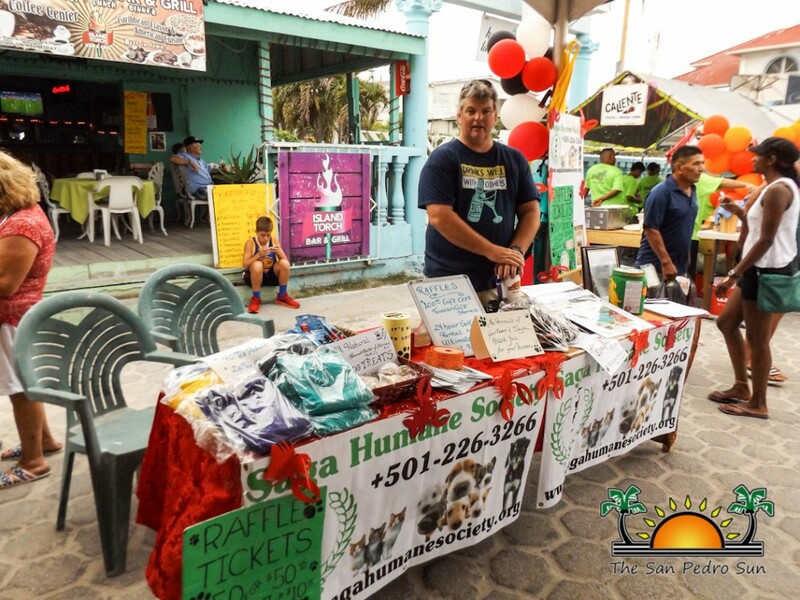 We thank the organizers who work hard each year to ensure the festival goes off without a hitch, and of course, extend much gratitude to the volunteers for their hard work. 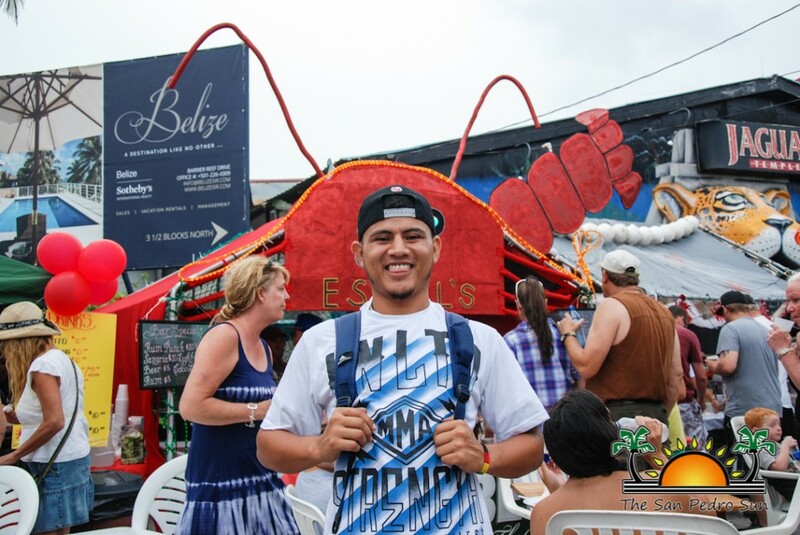 See you next year!! 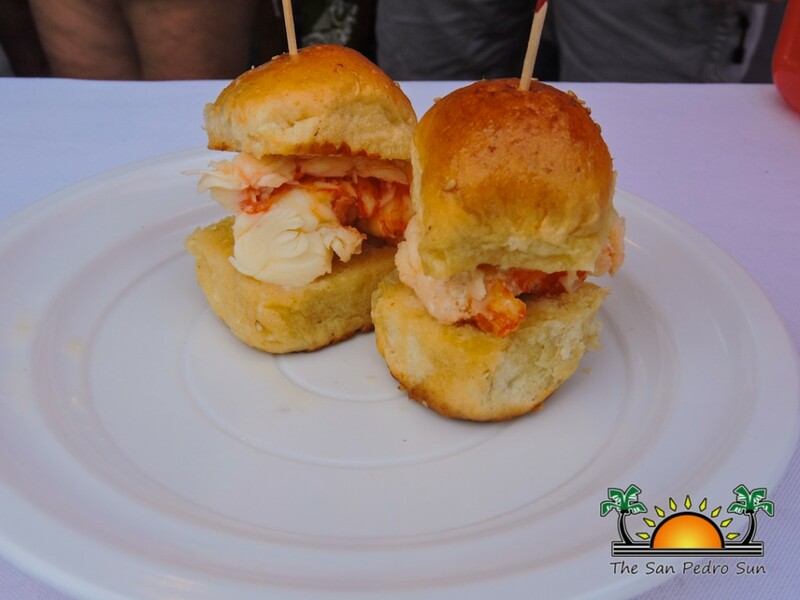 2016 Lobster Fest is set!